Please contact our practice for more information on cellulite treatment, including the new, FDA-approved Cellulaze™ procedure. The video below features Dr. Petti’s appearance on “The Doctors” television program as she discusses banishing cellulite with the Cellulaze treatment. Cellulaze is the first cellulite treatment approved by the FDA and shown to reduce cellulite for a year or longer with one treatment. Cellulite is an extraordinarily common condition that affects a huge majority of women. 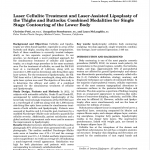 Although there have been limited options for treatment thus far that may be changing. Ladies, the dimples and bumps and cottage cheese-like appearance that cellulite often causes on the skin may soon become a thing of the past with a new treatment recently approved by the FDA. It’s called Cellulaze™, and Dr. Christine Petti was chosen as part of an elite team of clinical investigators who spent two years looking into its effectiveness. The results of the study found that, after one year, patients experienced a 25% increase in skin thickness, 29% showed an increase in skin elasticity, and an astounding 93% were satisfied with Cellulaze™ treatment – even after an entire year! Although cellulite is often difficult to treat, Cynosure®, the developers of the Smartlipo™ Laser, just received FDA-approval for a new cellulite treatment called Cellulaze™, a state-of-the-art laser procedure that has been shown to reduce cellulite for a year or longer. Up to now, the battle to treat that dreaded word, “cellulite,” has often been a losing one. Lotions, massages, and temporary fixes have simply not been very effective in fighting an affliction that more than 85% of all women face, a condition that is completely beyond a person’s control. Cellulaze™ goes after the root cause of cellulite, attacking cellulite’s structure and diminishing the appearance of dimples, bumps, and bulges. 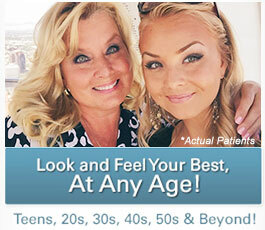 It is a one-time treatment with results that can last up to a year. Dr. Petti performs Cellulaze™ treatment by using a 3-D fiber optic laser inserted through tiny incisions (about the size of the tip of a ballpoint pen) in the target areas. The ultra-thin laser will then be used to level out bumps, release fibrous bands under the skin that cause dimpling, and help to stimulate the growth of collagen for smoother skin in the area. Liquefied fat will be pushed out. The entire Cellulaze™ procedure typically takes about one to one and-a-half hours to complete and is performed with localized anesthesia applied to the areas targeted for treatment. Plus, there is usually no downtime necessary after treatment with Cellulaze™ – most patients can resume normal daily activities immediately after the procedure. Although there will be some bruising in the treatment areas after the procedure, this should fade over the next few days. Results from Cellulaze™ will continue to improve for the next three months to one year. 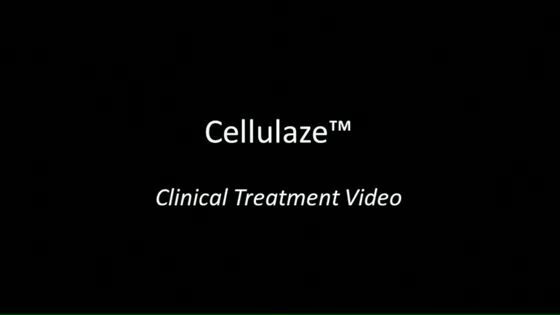 Cellulaze™ is the first treatment for cellulite approved by the U.S. Food and Drug Administration that attacks the problem at its very source – inside the skin. Dr. Christine Petti is very proud to have been part of the investigative team that conducted clinical studies on Cellulaze™ and helped make it available to millions of women. With Cellulaze™, you can significantly reduce the appearance of cellulite with long-lasting results! Thank you so much for being the wonderful, caring doctor, surgeon, and woman that you are. I feel privileged to be part of your Cellulaze™ study and to take part in “The Doctors” experience. If took me a while to build the nerve for me to watch the show – but I’m really impressed by how tastefully it was done. But the best part of the experience was spending the day with you. I hope you find a way to successfully balance all the demands in your life and get to that “zen” state of mind. And when you find the answer, let me know! 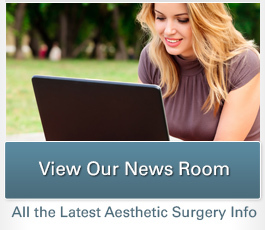 If you would like more information on Cellulaze™, or if you would like to schedule a consultation with Dr. Petti to discuss all aspects of the procedure, please contact us today.